Sometimes all it takes are a few new pieces to revive your wardrobe & make you look at it in a whole new way. Case in point, this little cropped jacket & these ridiculously comfortable perforated flats. I loved that the patterns slightly echoed each other, but not in a way that was too obvious. 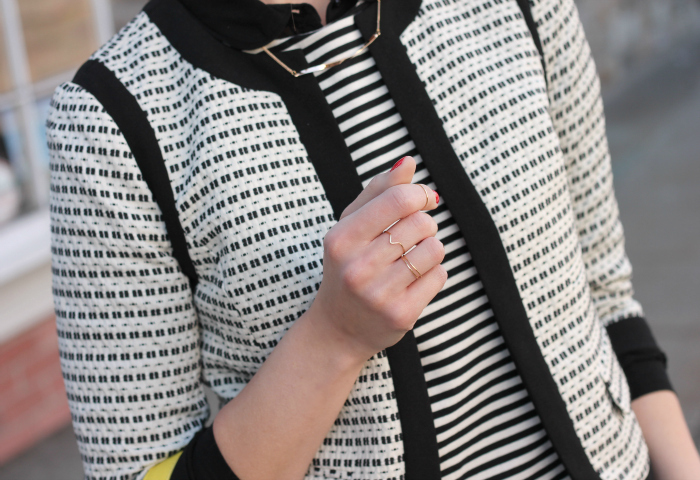 I couldn’t resist throwing in stripes + peplum (two of my weaknesses), plus a pop of color. And since there are a lot of layers & prints going on here, I kept my jewelry dainty and simple. it's impressive that you're able to layer and still keep the silhouette so slim! I love the little peplum top under the jacket! I'm also loving the simple shoes. I love your outfit!! 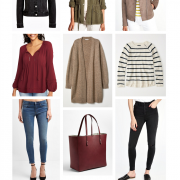 That jacket from LOFT is soooooo cute!! i LOVE mixing prints. always elevates a look!have a great weekend. Loving the black and white mixed prints, perfect with your yellow bag! I've been debating on getting some perforated flats since seeing them at J. Crew. Love that yellow handbag! Beautiful as always Kimberly! Love the black and white and mixed prints. Love how this look has a laid-back feel but is still chic. There are so many things about the outfit that I love! The top, the jacket, the shoes, the bag! Perfect! One new piece can go a long way! Did you pair two peplums together? I love that jacket! I need something like that in my closet to throw on over dresses and jeans…so cute! I love the peplum over the blouse! SO so cute Kim! Classically casual! Love the jacket and bag!! I absolutely love this look! The jacket is so cute! 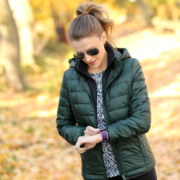 Great look…love the top and jacket! 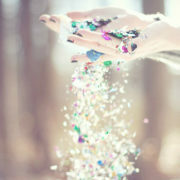 If you want we can follow each other…it would be great for me, tell me what do you think! love the pattern mixing, cute cute! You are such a master of layering. Love those shoes! I am loving this outfit! Your handbag is gorgeous and I love the patterns you used with this outfit! loving the mixed textures up top! such a great texture, pattern play. And your rings are beautiful! That jacket is adorable. Love what you've paired it with and love the pop of color! 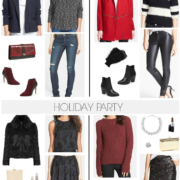 As the proud owner of this cropped jacket from Loft, I love this post! I usually mix it with polka dots, but now that I see it with stripes I have a whole new appreciation – Thank you! I love how your mixed these prints! The jacket, shoes and bag are to die for, love them! I am hosting a link up on my blog today and I would love for you to check it out and link up your favorite post! I love that jacket! So cute. I love the tweed jacket with your stripped peplum top. I saw it on Insta and I could not wait to comment, it looks so pretty and love when a new piece transforms your wardrobe. How fun is this combo!? I love the striped peplum layered with the printed jacket. You're such a pattern mixing pro! Very cute!!! I love the 2 different patterns! gorgeous outfit! love the jacket! Those flats are so cute! I love your simple black & white combo and that great bright bag. So glad I came through your blog! Love the pop pf yellow with black and white! This look is unexpected but works! Love the shoes too! So funny! 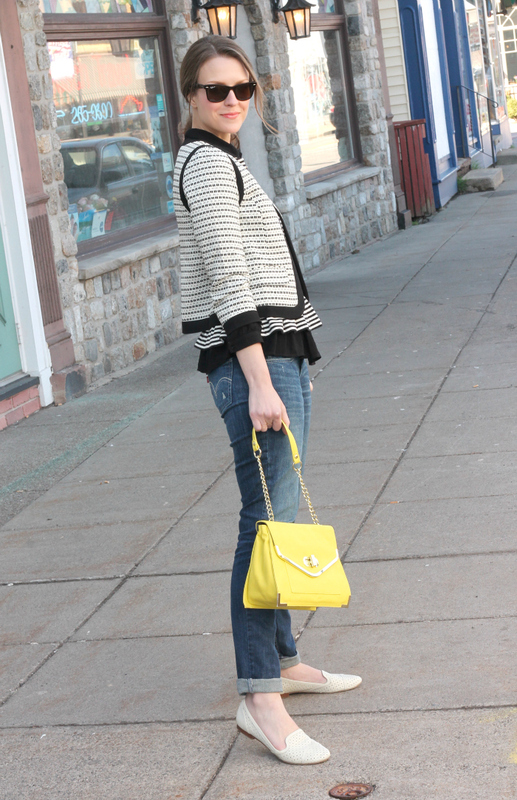 I bought that purse this weekend and wore it in my blogpost today! It is so great! Love how you paired it here!